Nthikeng Mohlele’s Pleasure was recently longlisted for the International Dublin Literary Award—this after winning two major South Africa literary prizes in 2017. The JRB takes a break from the December Fiction Issue to congratulate Mohlele and chat to him about his work. Mohlele sits on The JRB Editorial Advisory Panel. The JRB Editor Jennifer Malec: First, I would like to congratulate you roundly. Pleasure recently won two big awards—the University of Johannesburg Main Prize for South African Writing in English and the K Sello Duiker Memorial Literary Award—and you’ve been longlisted for the International Dublin Literary Award, which is known as ‘the world’s most valuable annual literary prize’. What does this recognition mean to you? Nthikeng Mohlele: Thank you so very much. It means more work lies ahead, it means greater effort in continuing to learn and understand with the hope of contributing to the world literature canon. It also perhaps briefly sensitises those vanity nerve endings present in all creatures in human form: that, I must perhaps be doing something right. It is humbling and heartwarming. The JRB: To get down to your work, I want to say that your books, Pleasure included, are atypical South African novels. But as I was thinking of how to word the question, it occurred to me that most black South African novelists write atypical South African novels. 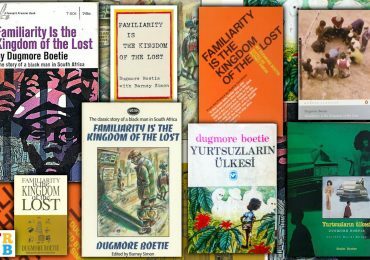 Do you find there’s a certain perception among readers and the publishing industry of what kinds of books South African writers of colour should be writing? Nthikeng Mohlele: Difficult question. I don’t know. I suppose an incomplete and contradictory answer would be that the sociopolitical context is an important consideration or ingredient in the thematic choices at the disposal of artists—including writers. 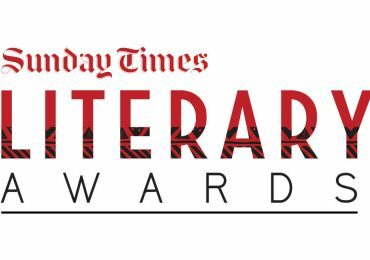 But ‘atypical’ suggest there is a comparative formula or expectation of what South African writers of colour should write—which is, again, a shallow and subjective conclusion. I believe in the supremacy of art—which I think trumps and defines the creative output across artistic disciplines—not only literature. This is a roundabout way to say: it is not important to me what is considered fashionable or theoretically catchy. Rather—are the books good and brilliant? I think they are. That is the starting point. The JRB: The preoccupations of the above question are, of course, also the preoccupations of Milton Mohlele, the main character in Pleasure, whose very name seems to suggest that he is some kind of alter-ego of Nthikeng Mohlele. Nthikeng Mohlele: The suggestion that Milton Mohlele is an alter ego of Nthikeng Mohlele is incorrect. I, as a rule, do not and would never put myself in my books, as I find that practice obscene and too self-centered. I merely shared my surname with Milton, and could have quite easily given him Pike, Maharaj or Du Toit as a surname and changed his race. The JRB: Did your decision to locate part of your novel in World War II-era Germany reflect your beliefs about attempts to constrain what South African novelists ‘should’ write about? Nthikeng Mohlele: My decision to locate part of the narrative in World War II-Germany had less to do with thematic limitations or preconceived writing scope and more to do with the demands of the story, my fascination with history and arms-length fascination with certain elements of some branches of politics. The JRB: Who do you imagine yourself writing for? 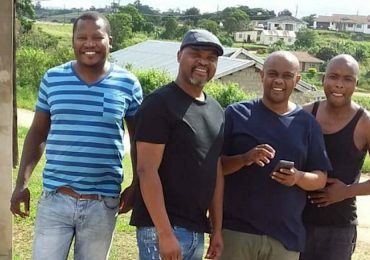 Nthikeng Mohlele: Curious, informed, open minded human beings on six continents. I am going to fire him one day, maybe soon … Not because he is incompetent or a thief, but because he believes he is entitled to things. That he is, in some strange way, entitled to my inheritance. 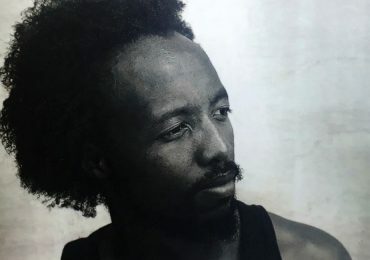 Nthikeng Mohlele: It is not literary playfulness at all—though completely understandable why readers or critics might make those connections. Achille Bemba and Maxwell Coetzee just seemed to me good combinations for the names of a blokes who might have intellectual gravitas or man a flower stall. It is alright if other people think of other Maxwell or Achille Somebodies. It is not a crime. I try not to indulge in literary pyrotechnics. They are cheap and unworthy of the sacred streams of literature. I have great respect for the two gentlemen by the way, erroneously associated with the world of Pleasure, of my novel. The JRB: And that respect would seem to be mutual: after all, JM Coetzee wrote a glowing cover shout for Small Things (UKZN Press, 2013). I know Coetzee’s Life and Times of Michael K is one of your favourite novels. Do you admire Coetzee’s work as a reader, or a writer? What I mean is, are there aspects of his writing you attempt to emulate, or do you simply read his work for pleasure? Nthikeng Mohlele: I cannot speak for JMC. A cover blurb was requested from him by my publishers (upon my request, I must add) and he was kind and generous enough to provide one, a gesture I don’t take lightly given his stature and the demands on his time. I think it would be disingenuous to pretend I don’t get influenced by the literature of others as both reader and writer—JMC included. Emulation is another ballgame all together. I believe our work is stylistically divergent in many respects. Besides, I am equally influenced by and learn from Camus, Mandla Langa, Javier Marías, Wole Soyinka, Marechera, Toni Morrison, Cormac McCarthy, Bongani Madondo, and countless other artists, including musicians and motion picture directors. All semantics and personal views aside—it would, for a developing writer, be rather foolish not to seek or embrace an opinion from a Nobel Laureate. More specifically: do I enjoy JMC’s work, as reader and writer? Yes. The JRB: You’re known as a writer of poetic, complex sentences, and you seem to enjoy testing the limits of grammar. But the structure of your books is more fluid. I suppose in that way your work echoes the jazz you are so fond of: improvisation with a logical scaffolding of scales. Do you see this in your work? Nthikeng Mohlele: ‘Seem’ is our key and operative word here. This might be, on some level, a proper and insightful reading of my work. I do associate words with musical notes, with colours and sounds. I am a lover of music in its widest genres and in all its manifestations—including jazz. I do not necessarily enjoy fornicating with grammar—maybe grammar does find me an interesting muse. Either way, I don’t believe in showing off, as that would be disrespectful to the craft, the time and consciousness of readers. In other words: tacky writing. The JRB: You have a love of opening lines, and closing lines. In Pleasure, the opening and closing lines are telling. Milton Mohlele moves from a solipsistic pursuit of carnal pleasure to a preoccupation with thinking of a name for the innocent, fragile young boy he saw in a photograph of occupied Poland, a boy who seems to symbolise the both potential and fragility of pleasure. In a way you can read the opening and closing lines of Pleasure and get a feel for the whole book. How long did you work on these sentences? Nthikeng Mohlele: Ten gold stars to you: you are an astute and immersed reader. I would not go as far as to say the opening and closing lines would give you the feel of the book, though. It is a complex and intricate book—or at least I have illusions that it is—and a lot of overlapping and divergent stories occur within the narrative arc. The closing sentence was an organic process—so it took no more than five minutes, while the opening sentence was probably rewritten a hundred times. This is not an exaggeration—for sentences do not just leap into a page singing. There is a lot of wrestling behind the scenes and I can only hope that it was worth it. The JRB: With so much work behind the scenes, how do you prevent the writing from becoming belaboured? In other words, how do you disguise the labour, maintain the sense of effortlessness? Nthikeng Mohlele: By working, and trying my utmost to focus on the primary tasks of thinking and writing and not that of an exhibitionist. I don’t think disguise is the right word: I suggest a differently phrased question: How do you ensure and maintain respect of the creative process? The answer is already provided. Great are pleasures that are yet to arrive, to be known, their powers guessed and estimated—sampled one throb at a time. Great, because pleasures already known have already died, have become routine, parasitic, unreliable. Dead. ​For ever wilt thou love, and she be fair! Was this poem, by any chance, a reference point for you? Nthikeng Mohlele: Not at all. I must confess to not having read the Keats poem. So: it follows that it could not have been my reference point. Catchy poem, though. I don’t mind the association, for now. The JRB: Pleasure is the first of your novels to be set explicitly in Cape Town. Did you spend some time in that city for research? Why did you choose to move away from Johannesburg in this book? Nthikeng Mohlele: No. I visit Cape Town frequently—on business and for personal matters. I did not spend time in Cape Town for the book. The setting is reproduced from memories—sights and sounds I had seen over a long period of time. Some writers are like granaries: we have the privilege and blessing to store life details with amazing clarity and exactitude. The reason for the shift in setting: the sea; the sea. The JRB: Ah, yes. The sea is a quiet but powerful presence in the book, connecting Milton to history and reminding him of how ‘minuscule human efforts are’ in the ‘grander scheme of creation’. Did you think of the sea as a character? Nthikeng Mohlele: I did not think of the sea as a character per se—but as an important life force, mysterious and dominant. The presence of the ocean in the narrative was and is also an important factor in providing the ambiance of the novel (auditory and visual details: the rumbles of the sea, Milton’s view behind his typewriter) to also mark the passage of time. It’s also on the high seas that World War II was waged—that countless lives were and will continue to be lost. 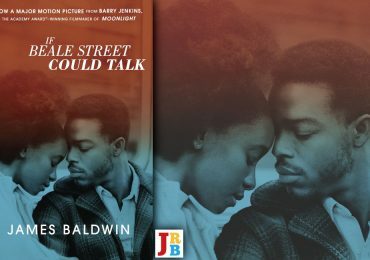 The JRB: Where or how did you research the historical aspects of the novel? Nthikeng Mohlele: Most of the research happened between my home and libraries: more specifically, I looked into military history, treaties between governments, documentary films and photographs, letters, speeches from the period, transcripts of meetings, television appearances of historic figures, soldiers’ testimonies and diaries, battle reports, Mein Kampf (which is an insult to literature and civilisation), jazz vocalist recordings from the period, stamps used on letters from that time, military battle plans, books on weaponry and naval engineering, the command missions of key military generals, incidents surrounding famous battles, even names of pets and the life routines of historic figures. Fascinating stuff. Dreary at times. Illuminating. Even infuriating. The JRB: Do you see yourself writing a wholly historical novel in the future? I, for one, would love to read it. Yes. I will write one just for you. The JRB: Fantastic. Are there any other periods of history that tempt you at the moment? Nthikeng Mohlele: I have not given the idea of a historical novel sufficient thought and reflection to enable me to provide an informed answer—for now. I will probably invest some energies into that process closer to the time when that temptation translates into an itch to write, to create something. I do, however, have favourite periods: jazz in the fifties, the sexual revolution of the nineteen-seventies, the Civil Rights Movement of the fifties and sixties and the Fourth Industrial Revolution of the Information Society of the present. The JRB: In your Acknowledgements you thank Thabo Mbeki for his ‘I am an African’ speech. What aspect of the speech inspired you? Nthikeng Mohlele: The range, the multiple themes of the speech, the emotive and well crafted beauty of its language. The truthfulness of the speech, it mastery of the historical, aspects of which make you sad, while other points celebrate the resilience and renewal of the human spirit. I don’t know former President Thabo Mbeki in person, but am comfortable to publicly state that the content and tonality of the speech suggest to me that it came from a selfless, visionary, dignified and dare I say brilliant place. One would have to be stuck in the Stone Age to not know that Mr Mbeki is not only extremely intelligent but well read too. And principled. I like folks of that calibre. … a sickness of people who resist change and that of those not daring enough to insist on that change. Insistence also means imagining a counter narrative to apartheid savagery and its varied legacies—a narrative that does not insist on mining apartheid ruins for progressive solutions. You’re participating in the Abantu Book Festival this year. Do you see this festival as an example of imagining such a counter-narrative? Nthikeng Mohlele: I see the Abantu Book Festival as a group of like-minded individuals using the brains God gave them. The results are self evident. Nothing more, nothing less. The JRB: In an interview with Eusebius McKaiser earlier this year you mentioned that is was your matric Sepedi teacher who encouraged your writing. Have you considered writing in Sepedi? Nthikeng Mohlele: I already write in my mother tongue—mostly poetry. I will publish the work once it meets the proper artistic standards and the cultural registers and nuances have been triple-checked. The JRB: I understand your mother does not read, but takes great pride in your success. Could you talk a little about that relationship? Nthikeng Mohlele: I love my mother very much and I have great respect for her. It is silly and ill-informed to think people who have not had formal schooling cannot interrogate life—including art forms. My mother has questions and positions that put some literary criticism to shame. Natural intelligence. Compassion. Generosity of spirit. That is what literature is, essentially. The JRB: True. And does your mother offer constructive criticism of your work? Is she a hard taskmaster, or more of a cheerleader? Nthikeng Mohlele: Ours is a child-parent relationship—in the classical sense. But then my mother is an astute diplomat, some things I only fully comprehend many months later. The JRB: You’ve mentioned in the past that you value the ‘instincts’ triggered by writing by hand. But more recently I read you have turned to writing on your iPhone. That’s quite a turnaround. Why the switch? Nthikeng Mohlele: Writing by hand slows me down. Requires all sorts of writing rituals and quiet space and all the rest of it. The iPhone is my friend. It guarantees minimal use of words and a digital draft. The JRB: Do you think it has altered your writing? Nthikeng Mohlele: No. It has not altered my writing. The JRB: And you’re currently learning to play the guitar, I believe. Will we see you switching your creative energies to music in the future? Nthikeng Mohlele: Yes. Music composition. The JRB: Interesting. In what genre? Nthikeng Mohlele: Jazz. And some AC/DC-inspired rock and roll. The JRB: Sounds intriguing. Your next novel will be out in March next year. What can we expect? Nthikeng Mohlele: What can you expect? A proper answer to question five of this interview … otherwise, my lips are sealed. Glued. Stitched. And padlocked. In fact: I have no lips. The JRB: We shall wait with bated breath. Thank you for your time, Nthikeng.